The Chandelier Company offers a large range of chandeliers, wall lights, table and floor lamps, suitable for: households, reception areas, hotels, offices, restaurants, bars, places of worship and public buildings. Whether you are remodelling your home, making a purchase for your business or place of worship Bonds: Chandelier Company has the perfect chandelier for you. We offer a complete professional fitting service and can supply and install a remote control electric hoist while fitting your chandelier to make cleaning and bulb changing easy. See our ranges of light bulbs , replacement chandelier crystal, lampshades and chandelier hoists to complement our lighting range. All our products are manufactured to the highest possible standards and with proper care will last a lifetime. We hope you like what you see. All light fittings should be installed by a qualified/competent person in compliance with relevant laws and building regulations. 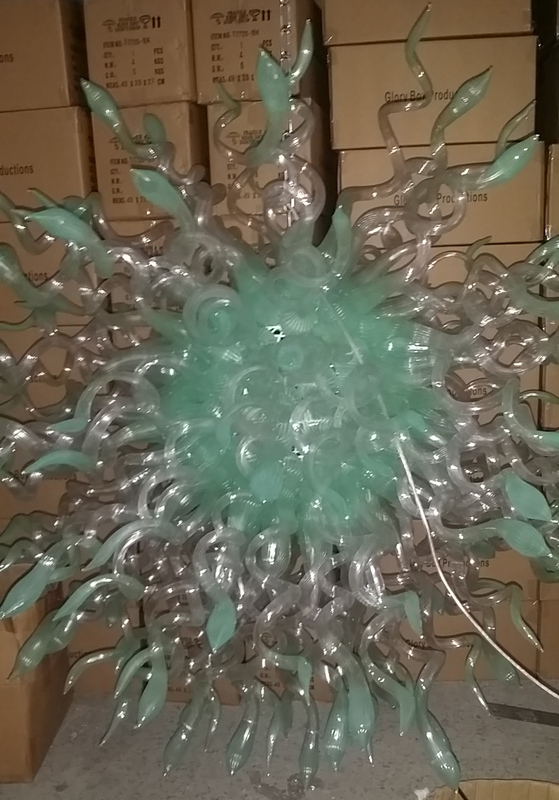 Murano Tinted Glass 5 Light Venetian Style Tiered wall lamp.